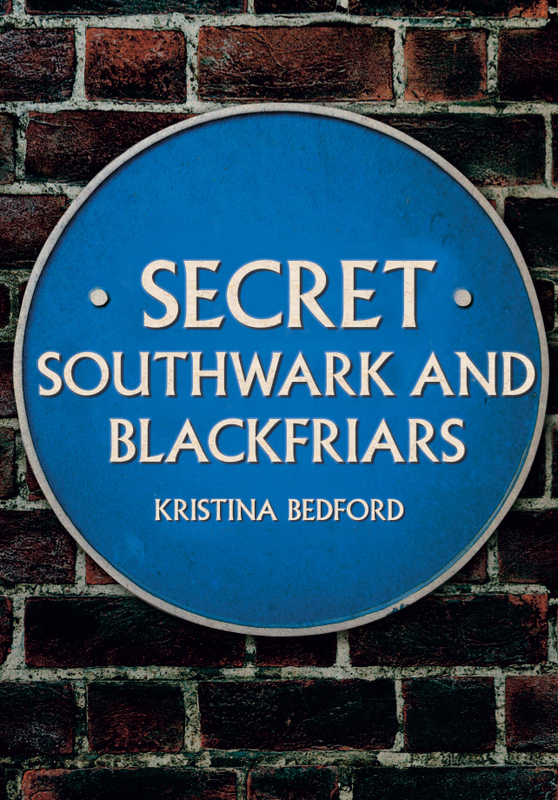 This entry was posted in Blog and tagged Southwark and Blackfriars, Kristina Bedford, Secret Southwark and Blackfriars, River Thames, Secret series, London, Local History, Amberley Publishing on April 17, 2019 by Amberley Publishing. 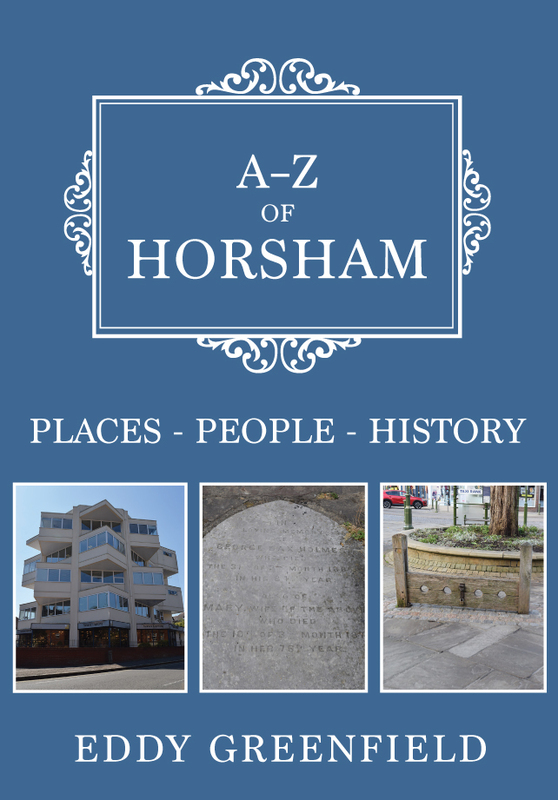 This entry was posted in Blog and tagged Horsham, Eddy Greenfield, A-Z of Horsham, Sussex, A-Z Series, Local History, Amberley Publishing on April 12, 2019 by Amberley Publishing. 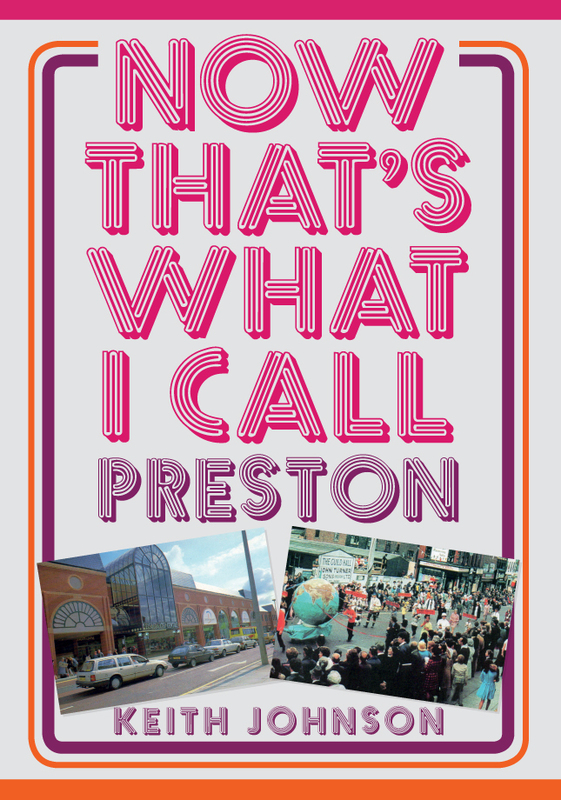 This entry was posted in Blog and tagged Now That's What I Call Series, Now That's What I Call Preston, Preston, Keith Johnson, 20th century history, Lancashire, Local History, Amberley Publishing on April 9, 2019 by Amberley Publishing. It was a single image which inspired me to write this book, a friend’s photograph of a solitary Austin Seven under the railway bridge at Compton sometime in the 1930s. I knew that a modern photograph taken from the same spot at any time, day or night, would show a whole stream of traffic in both directions. Even the bridge is no longer a railway bridge but carries the words Smestow Valley LNR, which does not stand for Long Neglected Railway as you might think, but means Linear Nature Reserve. 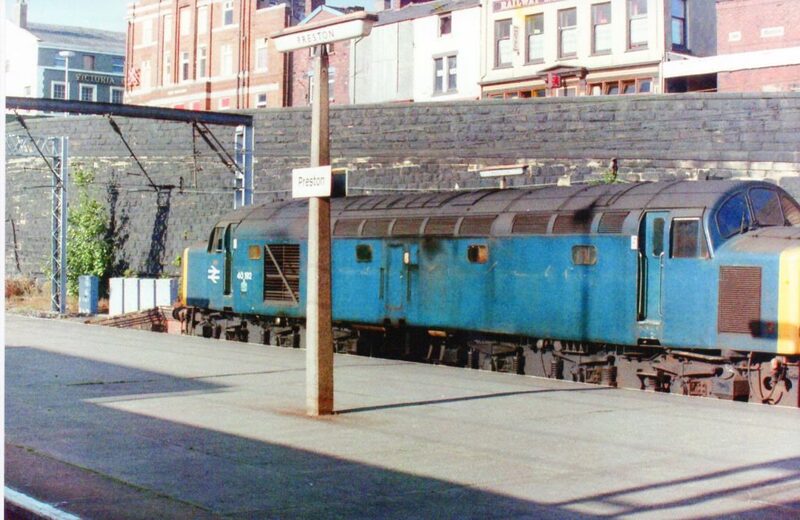 In the end I never actually used this photograph, but chose from my own huge library of images of the City, collected over 30 years of writing about Wolverhampton’s history. 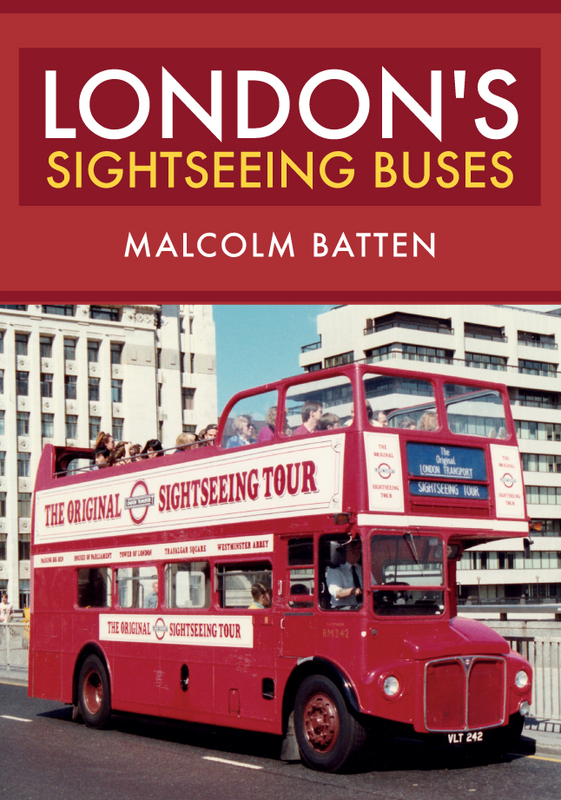 What could be easier, I thought, than strolling round with a camera and learning if things had changed over the last century as much as I imagined they had changed? The very first photograph revealed a problem I had not envisaged. 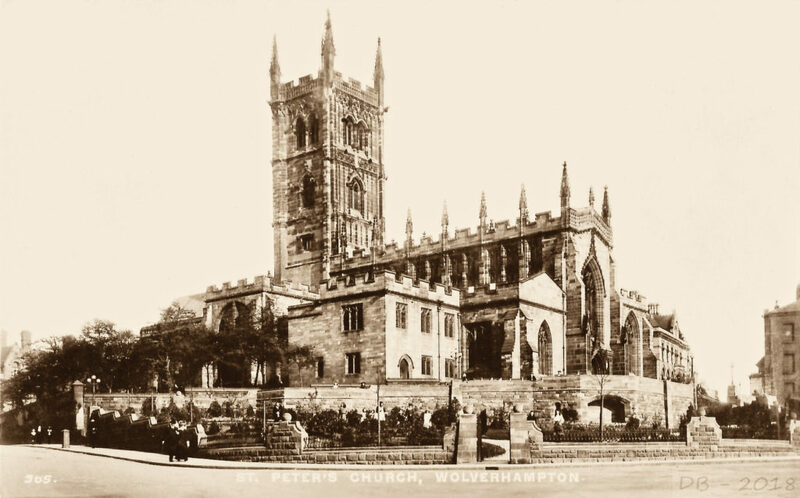 I decided to start with St. Peter’s Church, the focal point of the City atop the ridge on which it stands, with no high rise buildings allowed to block its dominance. 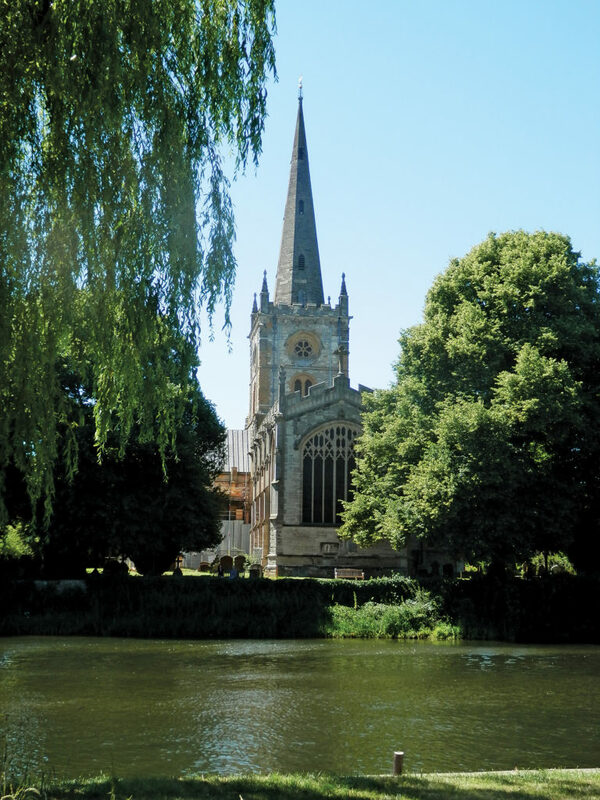 I had an image from 1902 taken from just the other side of Lichfield Street, so I made my way to the same spot, and I couldn’t see the Church! There were too many trees in the way. 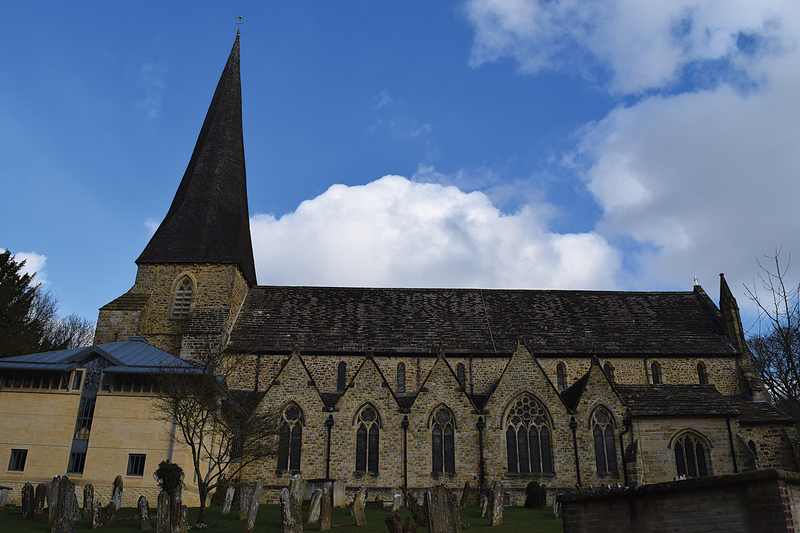 Have trees recently been allowed to mature in urban churchyards to a degree they never were before? A photograph featuring just trees did not seem too interesting, despite what it might reveal about ecclesiastical fashion. In the end I found another image of St. Peter’s from the other side, where there were fewer trees. 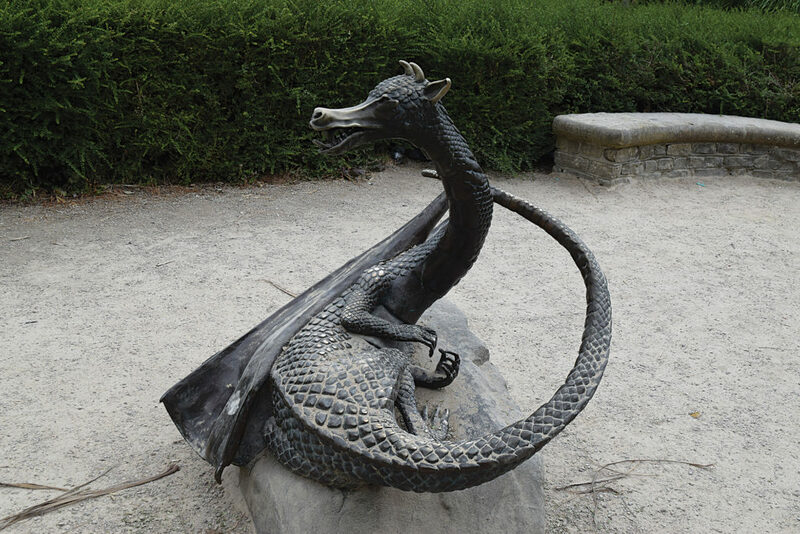 This was a problem I had to resolve many times, and any Wulfrunian to whom I mentioned how annoyingly verdant the City had become, was just as surprised as I had been. I had expected to find the changes in the cityscape wrought by the 1960s planners, and their preferred medium of change, brutalist concrete. The beautiful Central Arcade and Queens Arcade replaced by the concrete tunnels of the Mander Shopping Centre. 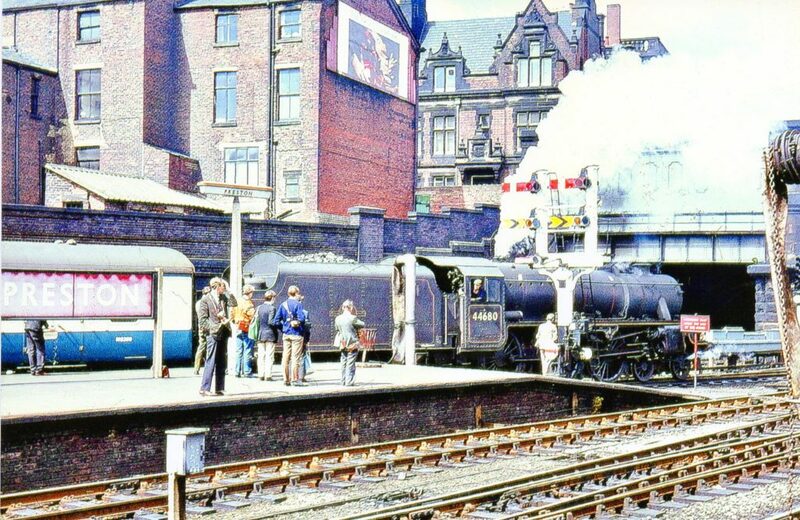 The Victorian High Level Station replaced by what looks like a huge public convenience. The Victorian Retail and Wholesale Markets swept away to make room for the Civic Centre, looking like a huge bunker from Hitler’s Atlantic Wall. 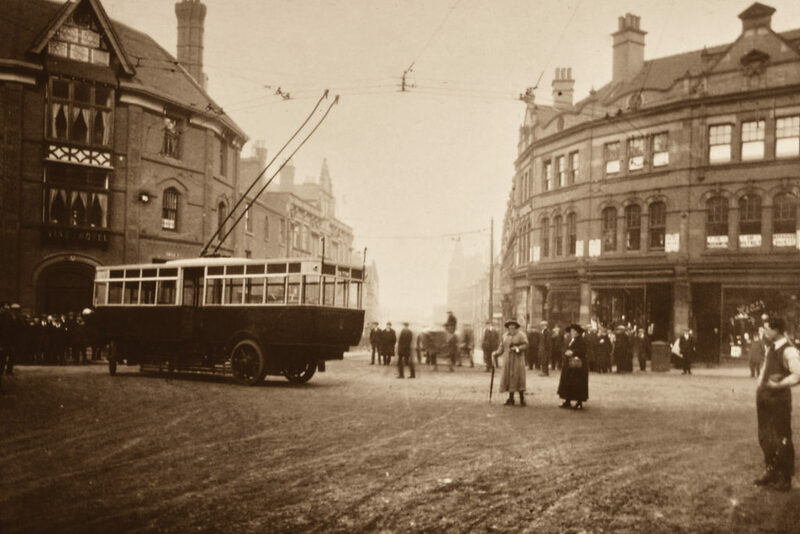 Of course, I knew about the destruction wrought by the Ring Road, that wide noose thrown round the centre of Wolverhampton, which had flattened so much of it, and strangled the rest. In many cases it was hard to relate a photograph taken even as late as 1970 with what is there today. Where once there were communities, now there is just traffic. 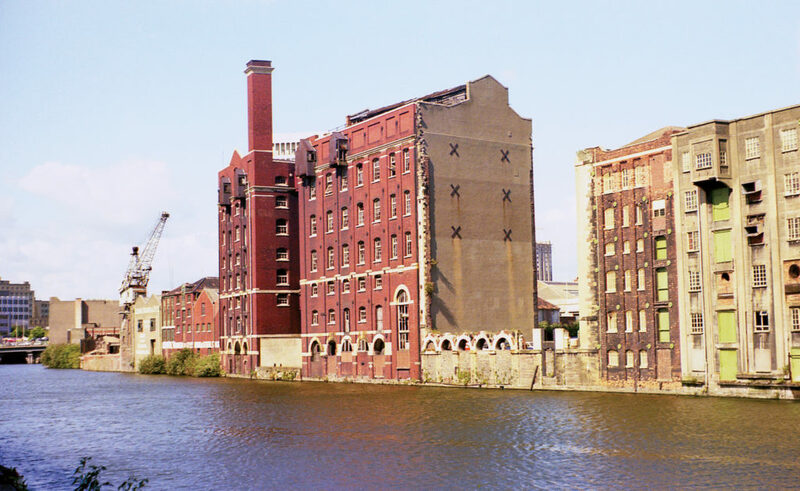 The other major change is the disappearance of those huge companies which dominated each area of the City; Goodyears, ECC, Bayliss Jones and Bayliss, The Sunbeam, GWR’s Stafford Road Works, and others. Where once workers walked from their terraced house just round the corner to the factory where their father and grand-father had worked, now there are new semi-detached houses, or offices, or acres of rubble, overgrown with buddleia. 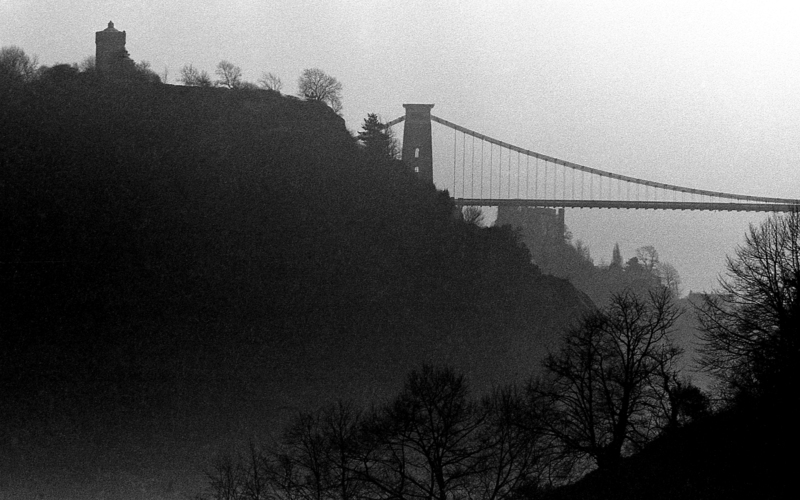 Despite being of an age when I view the World through nostalgia-tinted spectacles, it was not all doom and gloom, I was often pleasantly surprised by what I came to photograph. 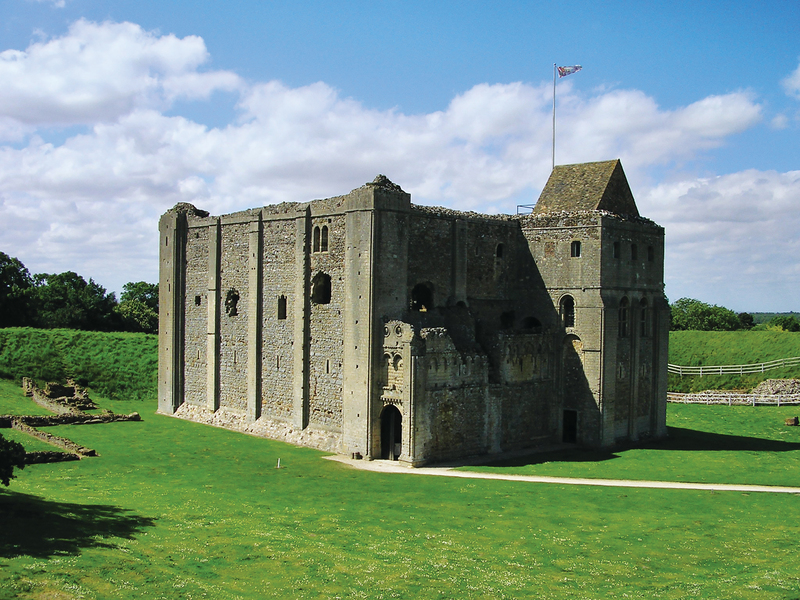 As I have related the trees were a big revelation, but often old buildings had found new, agreeable uses. 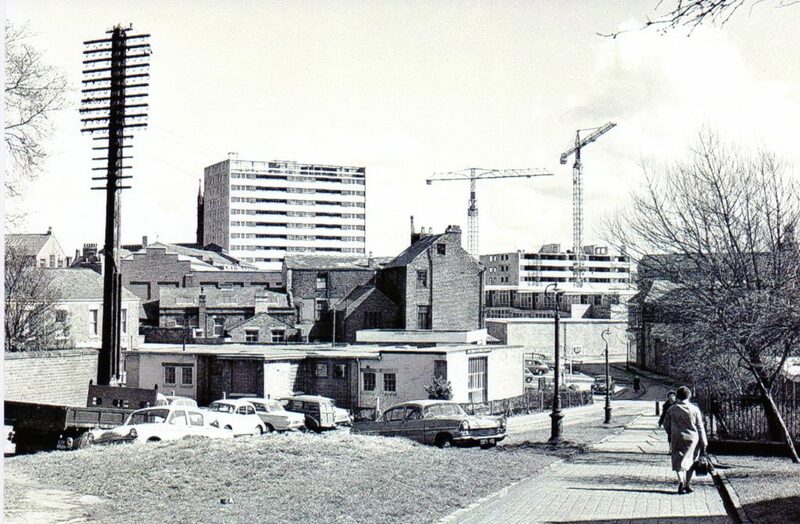 Sunbeamland becoming apartments, the Queen’s Building once more becoming the focal point of the City’s transport hub, the Molineux Hotel becoming the City’s Archives, or Butler’s Brewery becoming the University’s Faculty of Architecture, though putting students in a brewery would seem fateful. Actually the biggest positive impact on the City has been the monumental growth of the University. When a Polytechnic had followed the fashions of Wolverhampton’s planners and built in fifty shades of hideous. How ironic that the College of Art had been the ugliest building in the City, and how amusing, now that it has become the Faculty of Art, that the forest of phone aerials on the roof looks so much like a modern art installation. 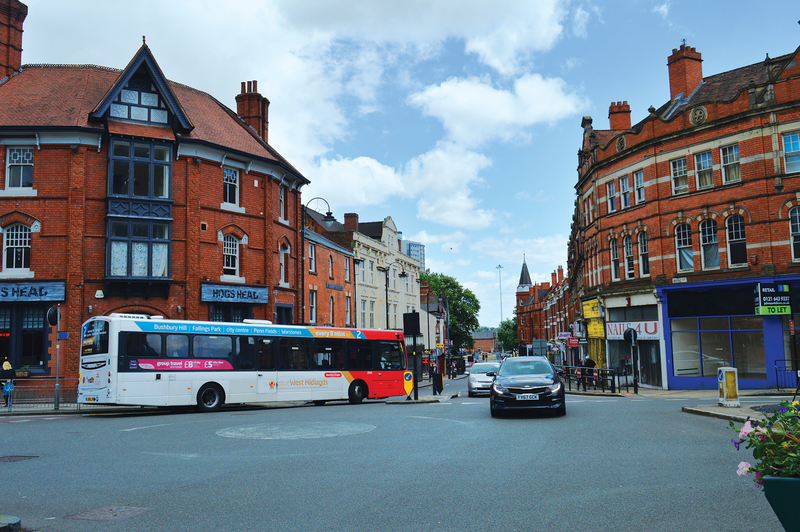 Now the University of Wolverhampton, its new buildings seem in keeping with their surroundings, and thankfully it has found new ways of using old buildings like the Criterion Hotel or the Fox Public House, which has saved them. I am sure that anyone who undertakes a similar exercise in depicting their town ‘Through Time’ will have similar takes to tell. 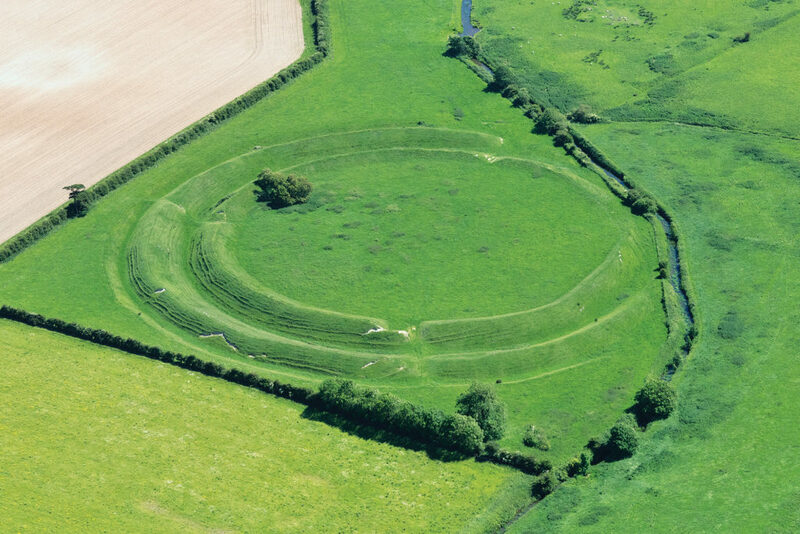 While expecting to find ‘change and decay in all around I see’, sometimes you might be pleasantly surprised. 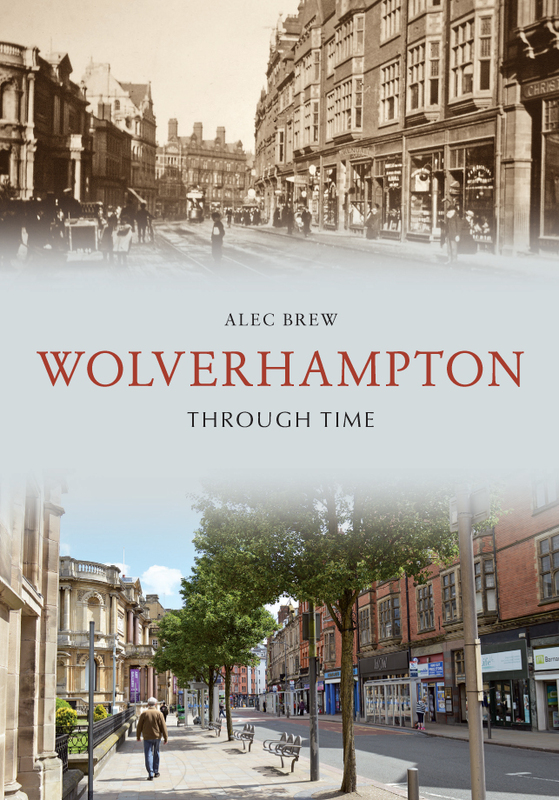 Alec Brew's new book Wolverhampton Through Time is available for purchase now. 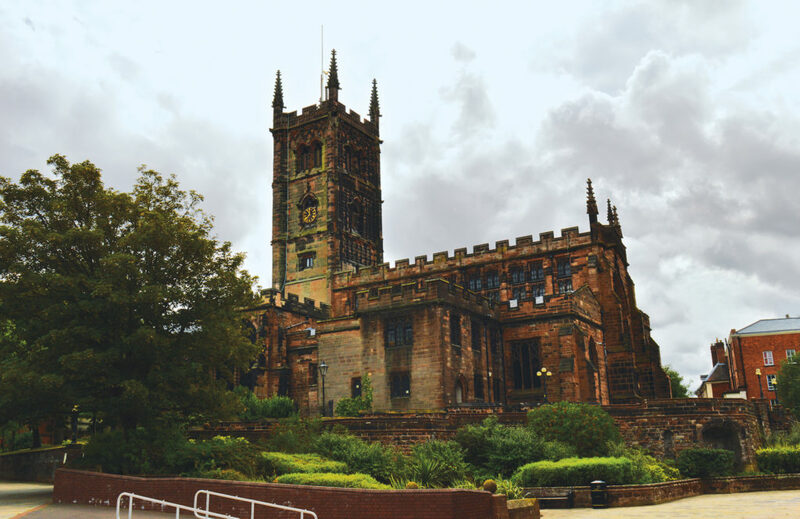 This entry was posted in Blog and tagged Wolverhampton, Alec Brew, Wolverhampton Through Time, Through Time, Local History, Amberley Publishing on April 5, 2019 by Amberley Publishing. 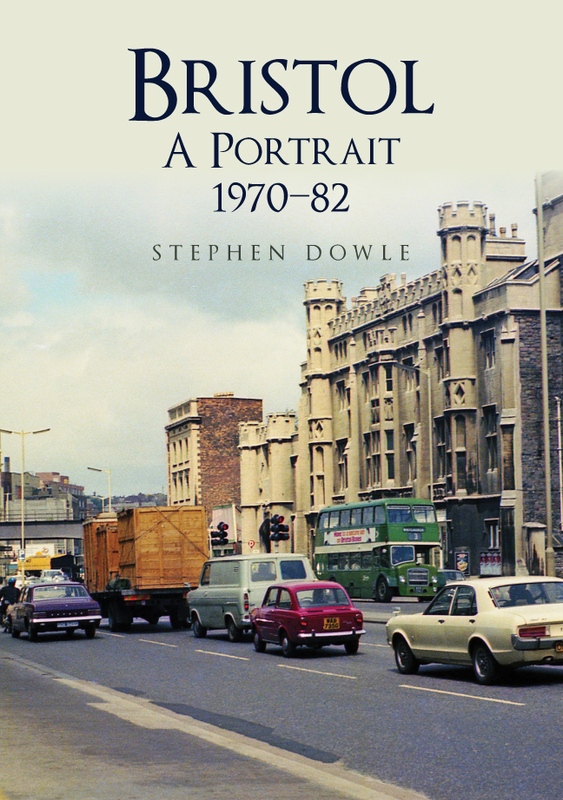 This entry was posted in Blog and tagged Bristol A Portrait 1970-82, 20th century history, Bristol, Stephen Dowle, Local History, Amberley Publishing on March 28, 2019 by Amberley Publishing. 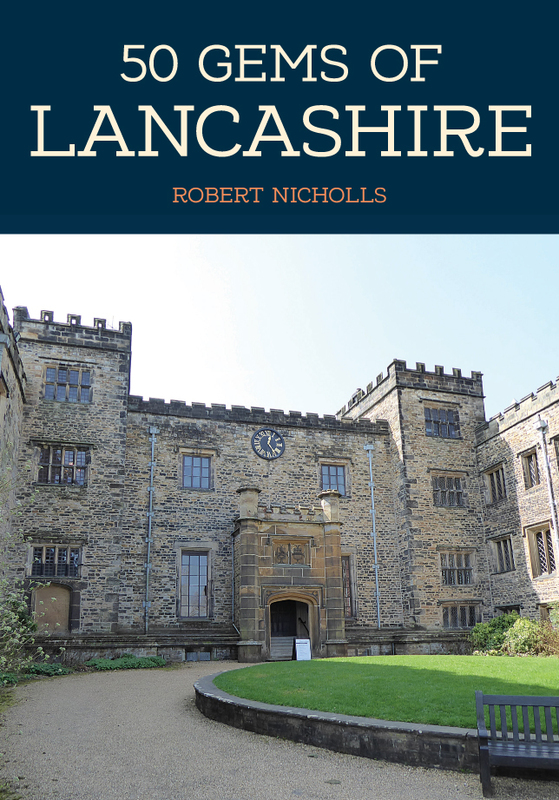 This entry was posted in Blog and tagged 50 Gems of Lancashire, Robert Nicholls, Cultural History, Photography, Lancashire, 50 Gems Series, Local History on March 25, 2019 by Amberley Publishing. 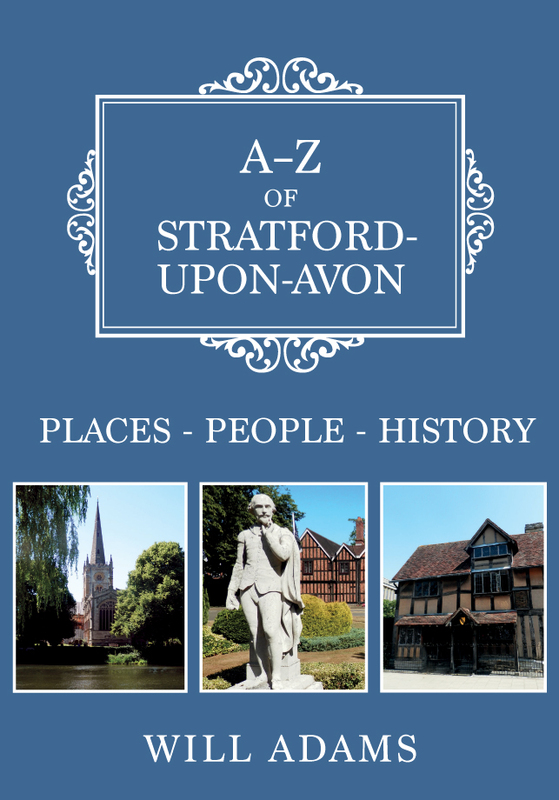 This entry was posted in Blog and tagged Stratford-upon-Avon, Will Adams, A-Z of Stratford-upon-Avon, Warwickshire, Cultural History, Photography, A-Z Series, Local History on March 18, 2019 by Amberley Publishing. The Workers’ Institute from Cradley Heath, locally known as the ‘Stute’, and now preserved at the Black Country Living Museum is remarkable not just for its Arts and Crafts style architecture but also for the people and stories associated with the building. Two such people are Mary Reid Macarthur and Thomas Sitch. The Workers’ Institute is closely associated with the history of women’s trade unionism and in particular Mary Reid Macarthur. Mary was the daughter of a Glasgow draper and after leaving school worked for her father as a bookkeeper in the family business. She had ambitions to be a journalist and would attend local meetings and write them up for the local paper. One of these meetings was the Ayr branch of the Shop Assistants’ Union. 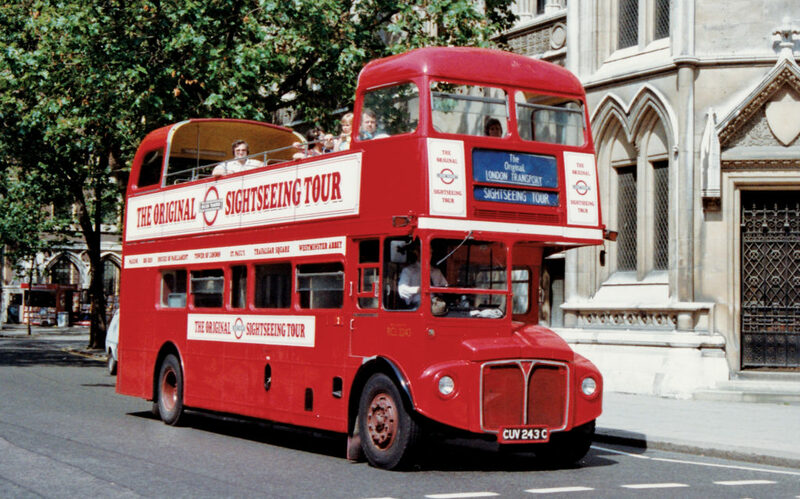 Once Mary had become exposed to the ideas of trade unionism, she knew exactly what she wanted to do with her life. After becoming secretary of the Ayr branch of the Shop Assistants’ Union Mary was invited by Margaret Bondfield (who would later become the first woman Cabinet minister) and Gertrude Tuckwell, President of the Women’s Trade Union League (WTUL), to become the Secretary of the WTUL. 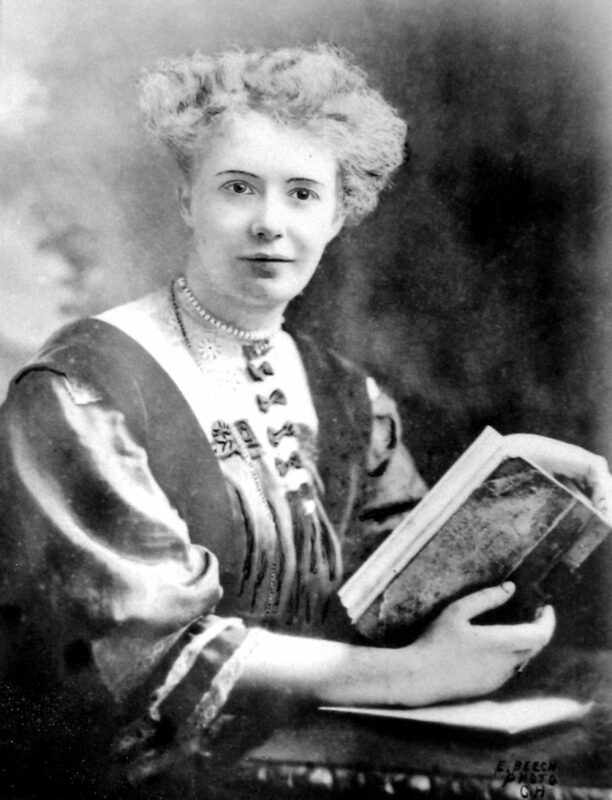 In 1906 Mary founded the National Federation of Women Workers (NFWW) which was a general national union for women. 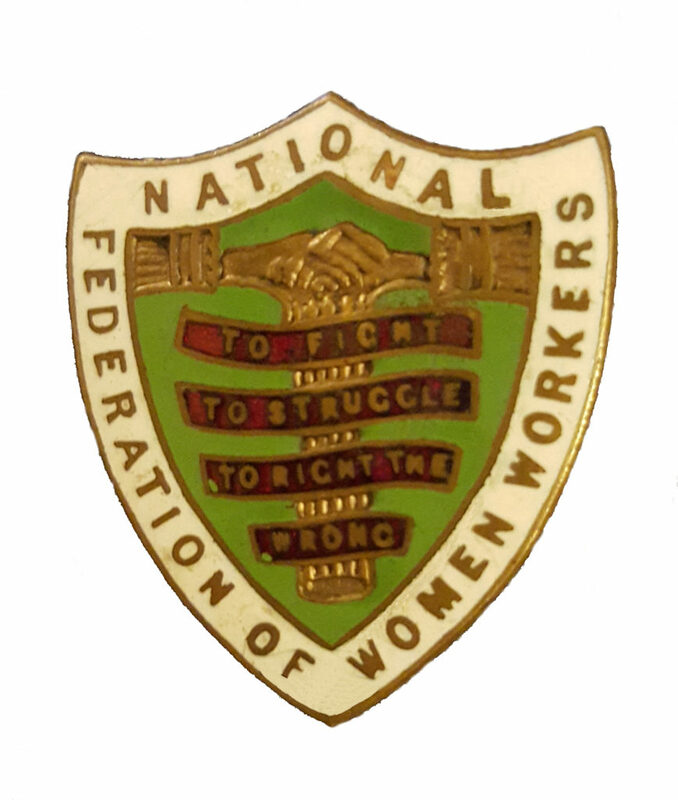 The emblem of the National Federation of Women Workers, which appeared on both enamel badges and marching banners, symbolised very effectively the aims of the NFWW. A trade union is like a bundle of sticks. The workers are bound together and have the strength of unity. No employer can do as he likes with them. They have the power of resistance. They can ask for an advance without fear. A worker who is not in a union is like a single stick. She can easily be broken or bent to the will of her employer. She has not the power to resist a reduction in wages. If she is fined she must pay without complaint. She dare not ask for a ‘rise’. If she does, she will be told, ‘Your place is outside the gate: there are plenty to take your place.’ An employer can do without one worker. He cannot do without all his workers. The bundle of sticks symbol can be seen displayed on the front of the Workers’ Institute building itself. The motto ‘To fight, to struggle, to right the wrong’ is taken from Tennyson’s poem ‘Wages’ and represents not just the fight for fair wages but also the poet’s stance on equality for men and women. The ‘wrong’ may also be a reference to sweated labour which frequently involved women such as the ladies engaged in domestic chain making in and around the Cradley Heath area of the Black Country. In the same year Mary Macarthur was instrumental in helping to set up the National Anti-Sweating League along with George Cadbury, J. J. Mallon and others. This organisation put pressure on the Liberal government to do something about the so-called sweated industries. These industries were typified by very low pay, poor working conditions and long hours. Four trade boards were set up to cover chain making, box making, clothing and lace making, the first of which was the Chain Board. President of the Board of Trade at the time of creation was Winston Churchill who had introduced the Trades Boards Act in 1909. In 1910 this was successful in bringing in a minimum wage of 212d an hour for chainmakers who were mainly working from home in small chain shops and were being paid on piecework rates of approximately a 114d an hour. Chainmakers working in the factories were already above this minimum wage but not so the many women chainmakers working up to 55 hours a week from home earning between 4 and 5 shillings. 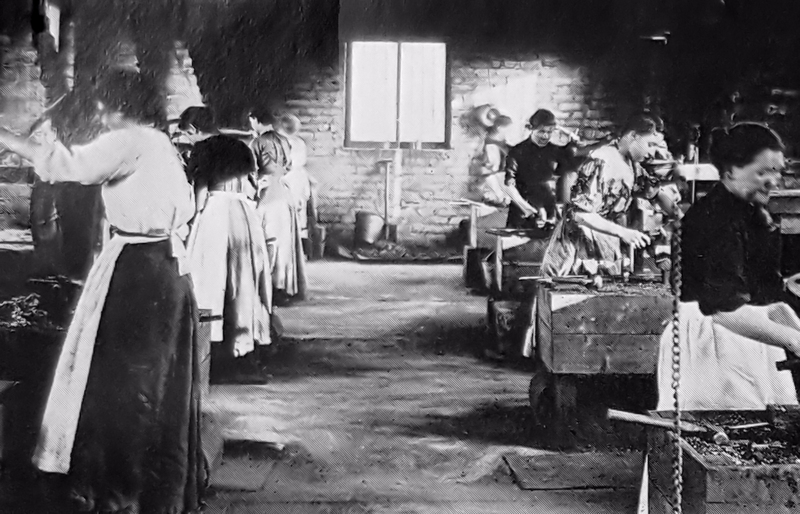 The women chainmakers worked at forges either in small chain shops behind the squalid homes in which they lived or else would share a shed with other women from ‘across the blue paved yard’ or ‘fode’. 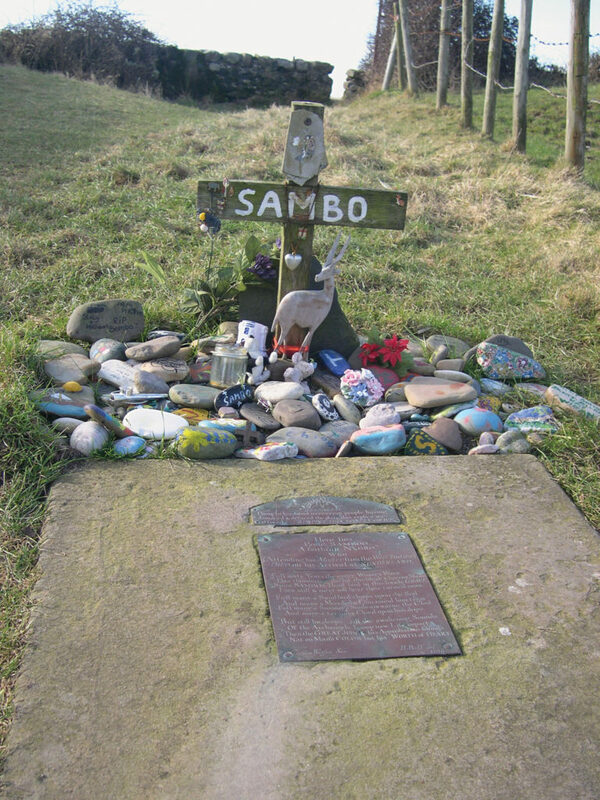 Their homes were often overcrowded, damp and lacking even basic amenities. 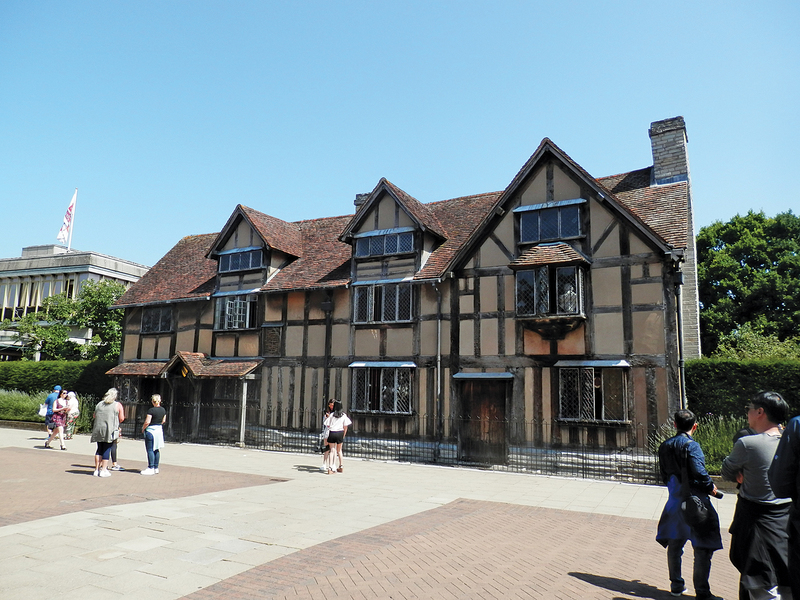 The rent on these homes would be approximately 4 shillings a week. 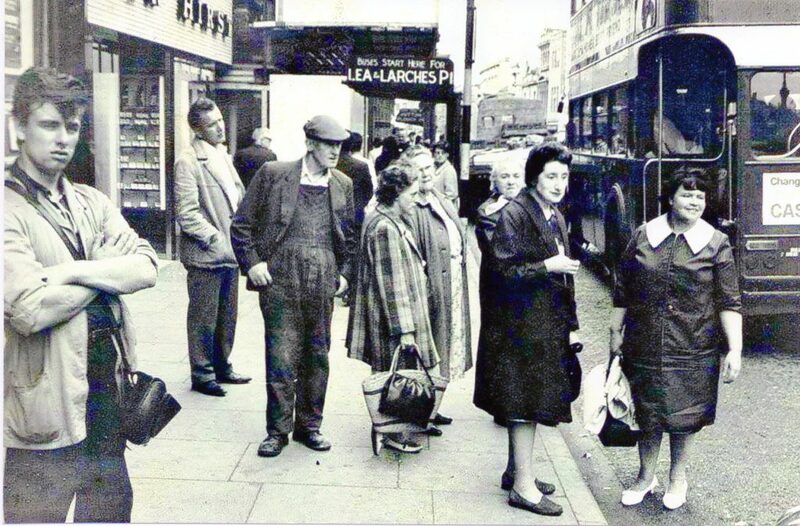 As well as making chain for up to fifty-five hours per week, producing approximately 5000 links, the women would be looking after babies and younger children who would generally play amongst the sparks and constant noise of hammering in the chain shops. They would be making small link chain, sometimes called ‘hand hammered’ or ‘country work’ chain which was often used in agriculture, mining and by the army. They were at the mercy of an intermediary called the ‘fogger’ who delivered the lengths of iron and then paid for the completed chain. The women had little choice but to accept what little the fogger offered in payment for their hard work. A handful of Black Country chain making companies paid the minimum wage immediately, but most made use of a clause that delayed payment until 17 August 1910. An unfortunate loophole in the law allowed companies to further delay payment for six months if the workers themselves opted out of the minimum wage. This loophole was exploited by the Chain Manufacturers’ Association (CMA), some 30 companies and 150 non-CMA middlemen. The employers came up with a complex worded document which the women were coerced into signing. Many could not read or write and simply did not comprehend what they were doing. Others who refused were threatened with no more work. In the meantime, companies stockpiled chain against the time they could no longer avoid paying the minimum wage. One of the intentions of this was to directly challenge the Trades Boards Act and the authority of the Chain Board to impose a minimum wage. The new rate was due to be paid from August 17 but in the event few employers complied with the Chain Board minimum wage. The situation escalated quickly. A meeting of 400 women at Grainger’s Lane School on 21 August effectively marked the start of what was to be a nearly ten-week lockout when they all agreed not to sign the opting out document. Things came to head on the 23 August 1910 when the NFWW insisted through a new agreement that the minimum wage should be paid straight away. This resulted in the chain making companies withdrawing raw materials and effectively putting the women out of work. Strike was now inevitable. The strike was called a lockout but it should be noted that as the women were working from home they were not actually locked out of anywhere. The women chainmakers were not just fighting for the minimum wage either as Mary Macarthur was well aware. The authority of the Trade Boards to address the plight of workers in the sweated industries was also now to be tested on a national stage. It was an incredibly brave thing for these women to down tools and go on strike. Although they didn’t earn very much the money was still essential to help put food on the table for their families. 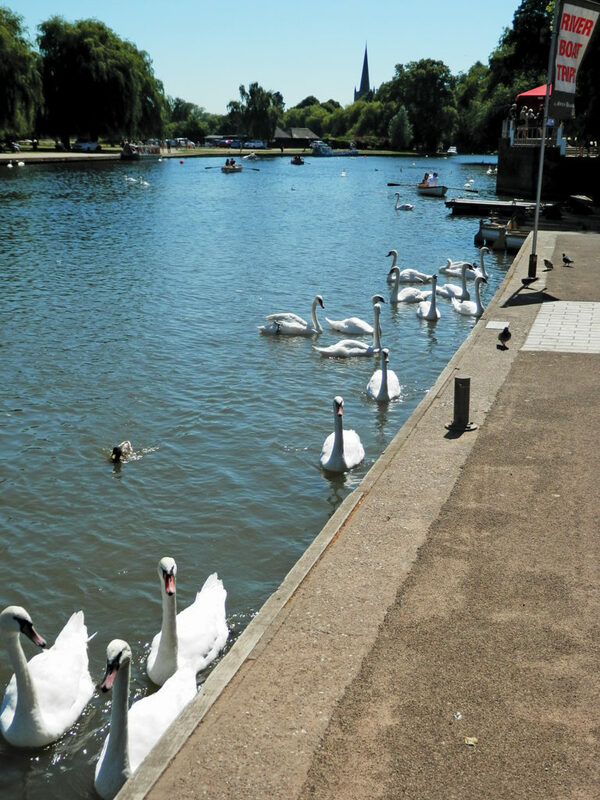 Secondly, having put down their hammers there was every chance they would never work again. The one thing that made it possible for so many to down tools, around 800 at the height of the strike, was the provision of a strike fund, the success of which was mainly down to the phenomenal publicity campaign orchestrated by Mary Macarthur. Whilst Mary concentrated mainly on national campaigning equally enthusiastic local organisation was provided by Julia Varley of the NFWW, Thomas Sitch who was General Secretary of the Chainmakers’ and Strikers’ Association and his son Charles Sitch who was the secretary of the hand-hammered chain branch of the NFWW. The publicity campaign mounted by Mary Macarthur was truly remarkable. 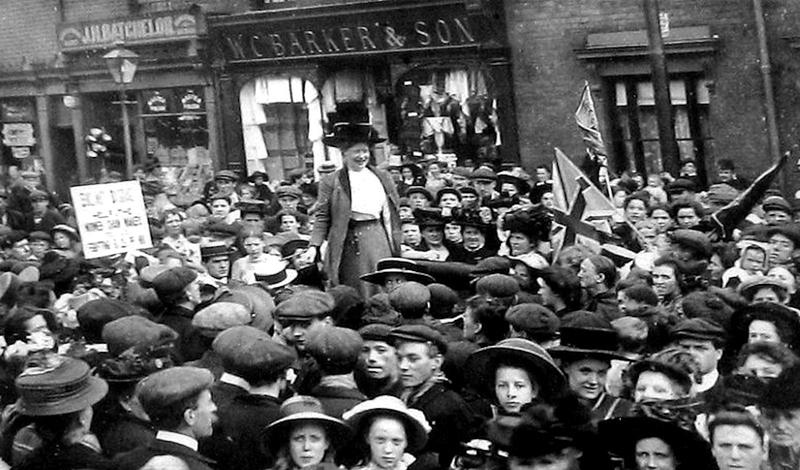 She made use of all the available media at the time to publicise the plight of the women chainmakers. She had a group of the oldest lady chainmakers photographed with some of them wearing chains around their necks. The oldest was Patience Round who was 79 in 1910 and still a full time chainmaker who incredibly lived to be 103. Patience liked to talk about her life and her story appeared in the newspapers of the day. 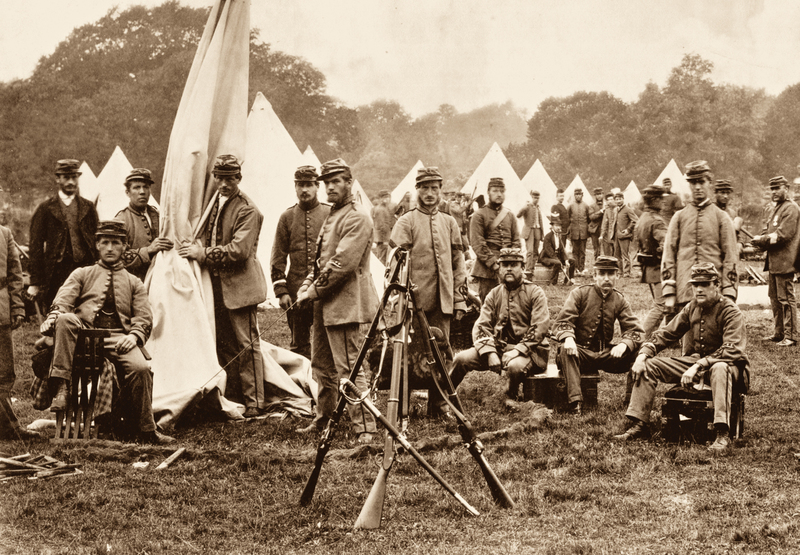 Pictures such as these appeared in the press including The Times together with headlines such as ‘Fetters of Fate’ and ‘Women Slaves of the Forge’. This was a clever move to deliberately make a connection between these women and slavery. However, this was not the first time such a connection had been made. Writing in 1897, Robert Sherard described the appalling conditions the sweated chainmakers of Cradley Heath endured in his book, The White Slaves of England. It was in 1910 that French filmmaker Charles Pathé came to England to introduce his Pathé Newsreel service to British cinema audiences. 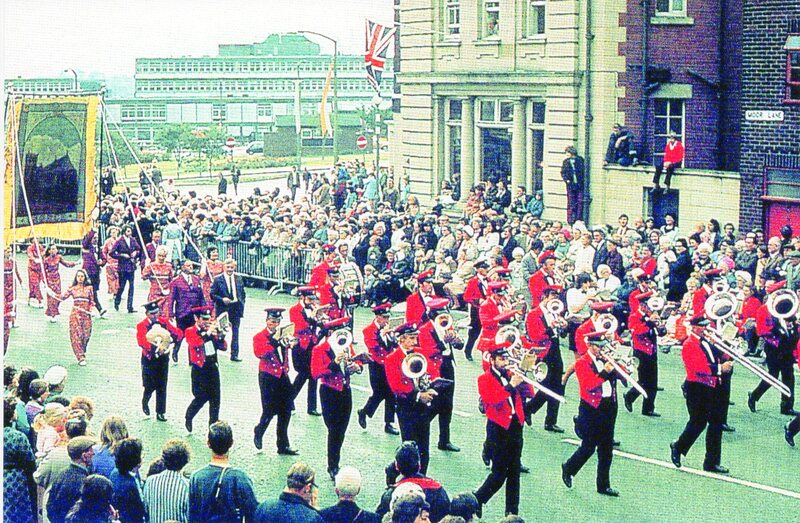 Mary convinced him to come and film a march in Cradley Heath. Not only that, the film included the conditions the women were working and living in. Although silent the manager of Pathé estimated that it could have been seen by up to 10 million people throughout the country. Mary undertook a national lecture tour to expose the chain making companies not paying the minimum wage as supporters of sweated labour. 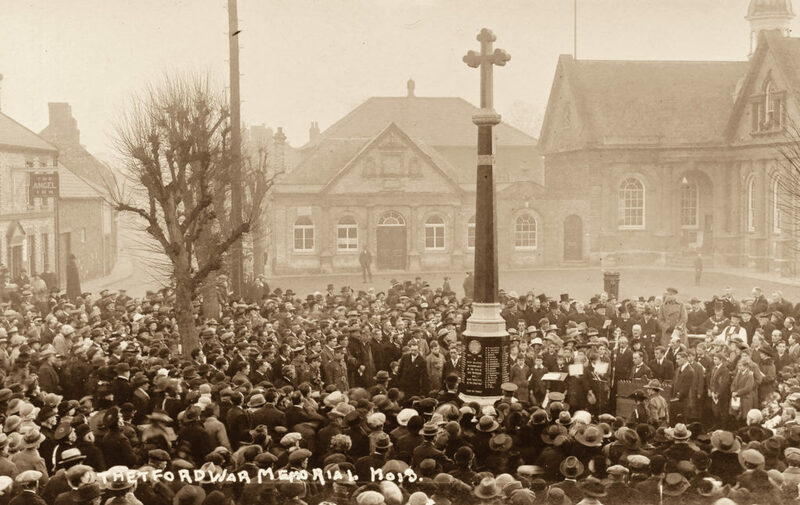 Locally there were regular rallies, marches and meetings to keep the impetus of the strike going. The result of all these publicity efforts was that money poured in to the strike fund. 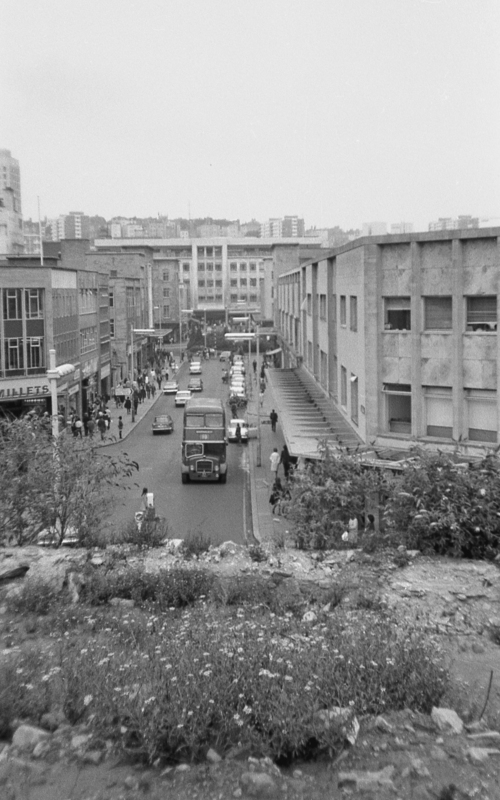 There were collections on street corners and in factories. Poorer people contributed pennies and halfpennies and even the aristocracy and leading business families got involved. Amongst many others, the Countess of Warwick sent £25 with the promise of more if needed and Arthur Chaimberlain, of the influential Birmingham based Chamberlain family, contributed 50 guineas. Also in Birmingham, George Cadbury of the Bournville Quaker Cadbury family, made regular contributions of £10 on a weekly basis. Over the ten weeks of the strike it was hoped to raise £1000. In the event, nearly £4000 was raised, a very considerable amount of. A number of factors contributed to ending the strike in the women’s favour. The government, who of course had brought in the minimum wage through the Chain Board, agreed not to place any more contracts for chain with companies not paying the minimum wage. 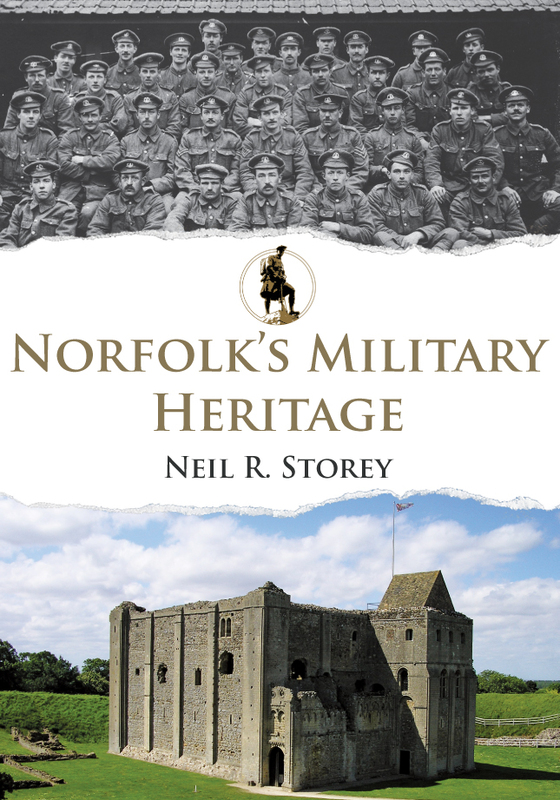 This was a serious issue for the CMA as such contracts, particularly for the army and navy, could be very lucrative. On the 2 September CMA member companies added their names to a list maintained by the Chain Board. This was known as the ‘White List’ and contained the names of companies paying the legal minimum wage. 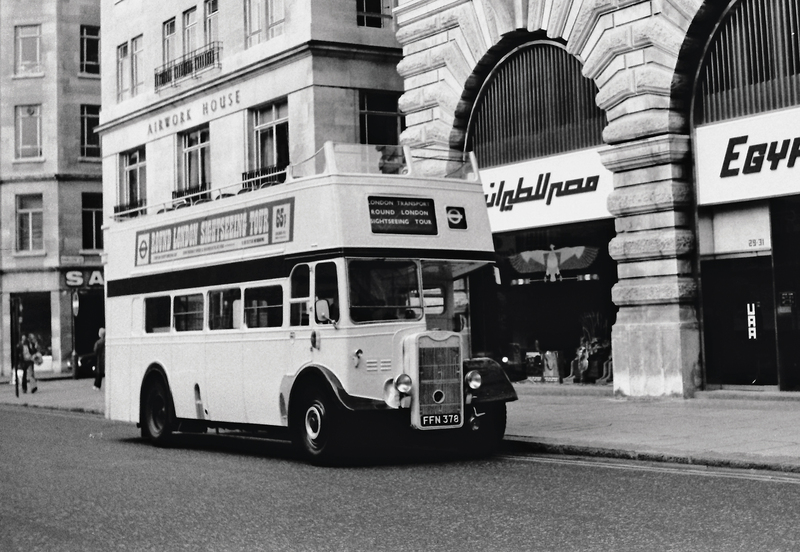 This was the turning point and gradually the names on the White List increased until the strike was finally over on the 22 October after the last remaining company had signed. The chain making women of Cradley Heath had won their minimum wage of 212d per hour, thanks mainly to Mary Macarthur and her unwavering belief in the justice of the cause. 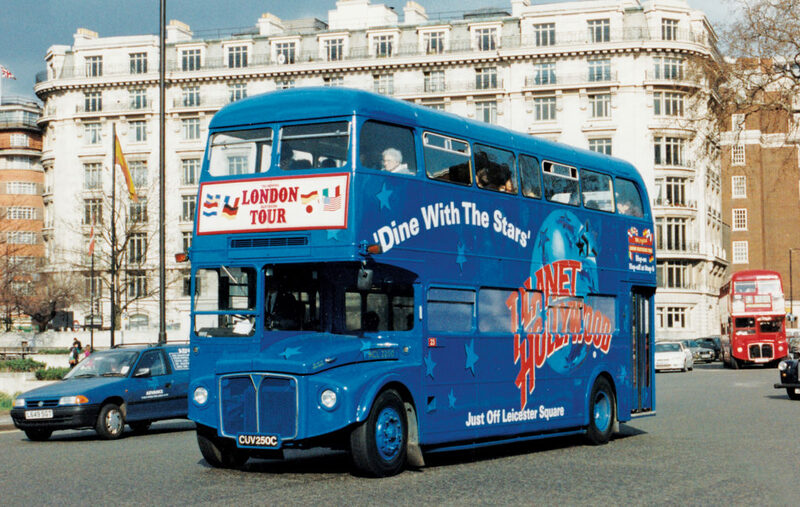 The strike fund had nearly £1500 pounds left in it when the strike ended. Mary Macarthur could have put that money in NFWW coffers but she didn’t. Instead, Mary proposed that the money be used for the construction of a Workers’ Institute. Not just for chainmakers but for all workers and families of Cradley Heath. 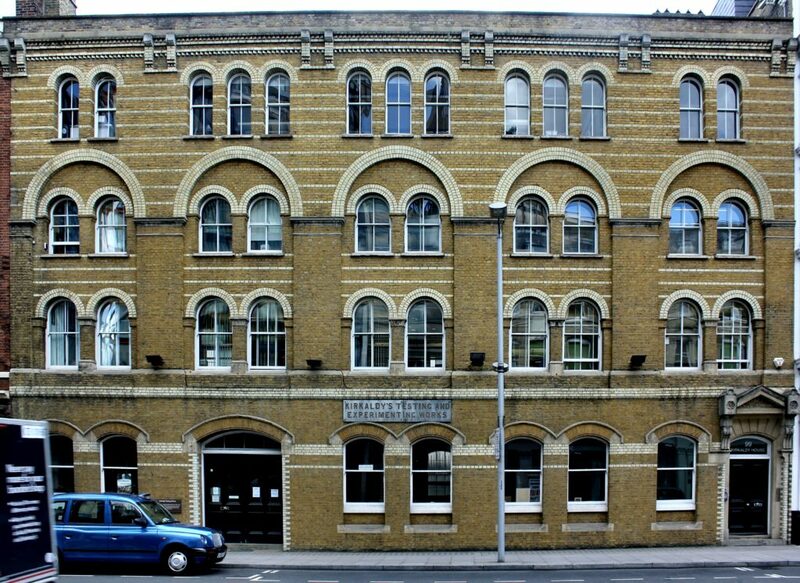 It was to be both ‘a centre of social and industrial activity in the district’. 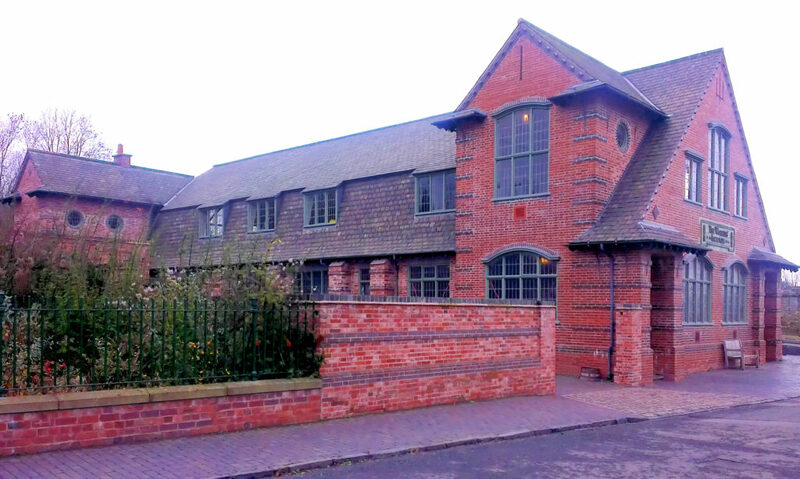 Originally built on some wasteland where strike meetings had taken place it is now preserved at the Black Country Living Museum. 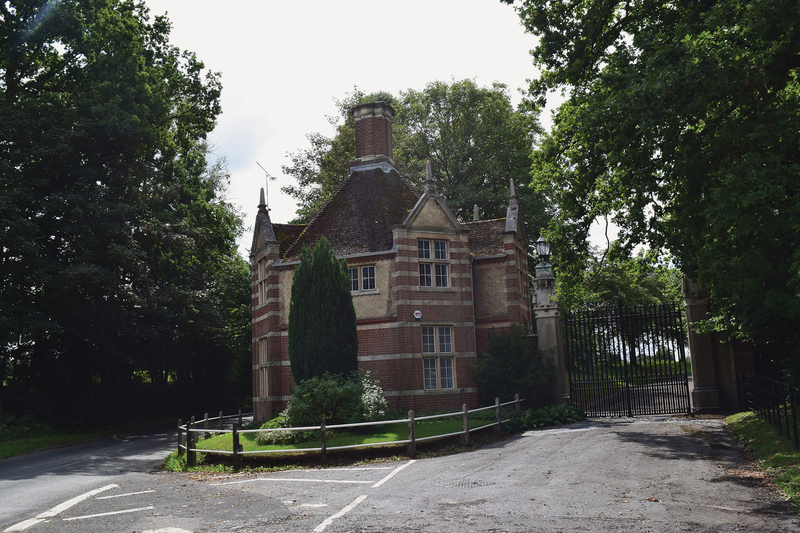 It was opened in Cradley Heath by the Countess of Dudley on June 10, 1912. A lasting monument to the bravery of the chainmaking women who downed their hammers in 1910 and to Mary Reid Macarthur, their charismatic leader. 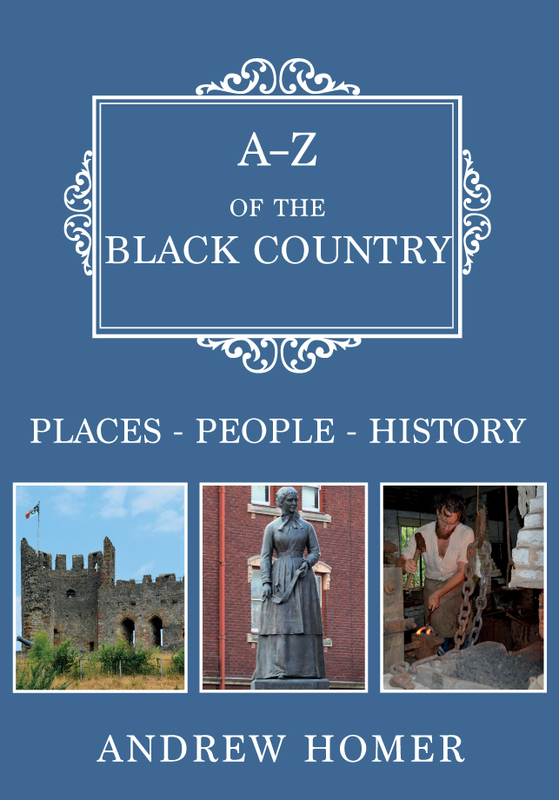 Andrew Homer's new book A-Z of The Black Country is available for purchase now. 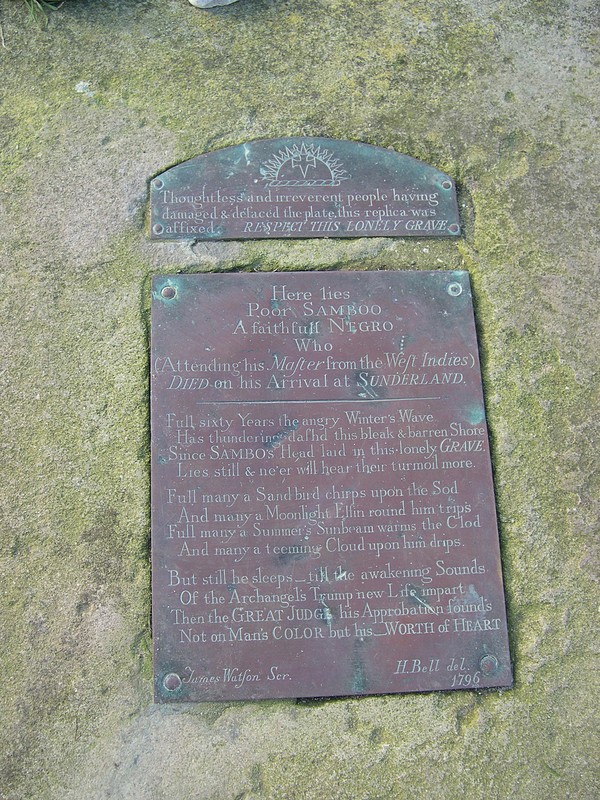 This entry was posted in Blog and tagged Chainmakers, Cradley Heath, West Midlands, The Black Country, Andrew Homer, A-Z of The Black Country, A-Z Series, Local History, Amberley Publishing on March 5, 2019 by Amberley Publishing.